We are a Wolverhampton Elderly day care provider for people aged 55 and over. We offer a homely therapeutic environment. We aim to help and support our service users to remain in their own homes and to be part of their wider community. Our services we aim to promote: Independence, dignity, privacy, choice, safety and motivation. For further information please get in touch with us, visit our website www.aladdinseducation.com or refer to the service flyer in the downloads section of this page. We are open daytime, evenings and weekends, based on demand. We offer a wide range of person centred therapeutic activities, which you can participate in. Session fees range from just £4 - £6 for 1 - 1.5 hour sessions, depending on the activity and outdoor trips charges vary. Meals are charged at an additional cost. 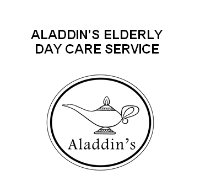 How Can I access Aladdin’s Day care Service?